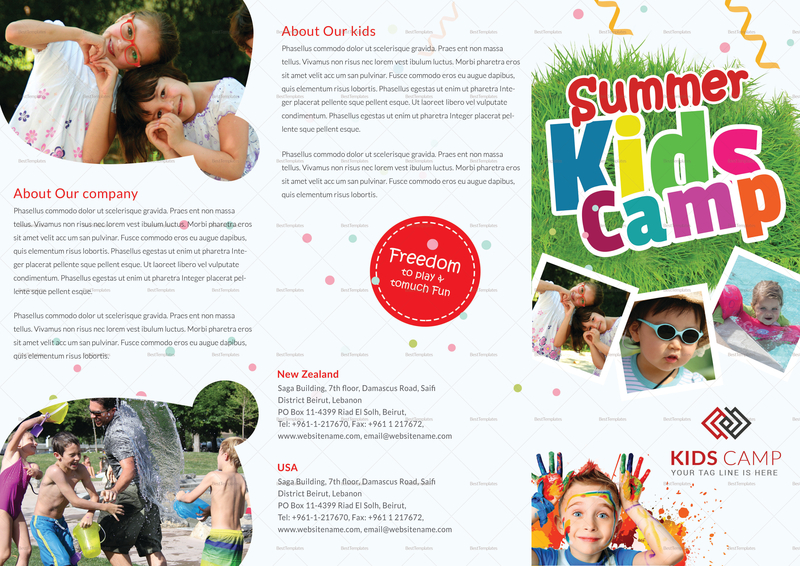 This creatively designed template will add more fun to your next kids camp. 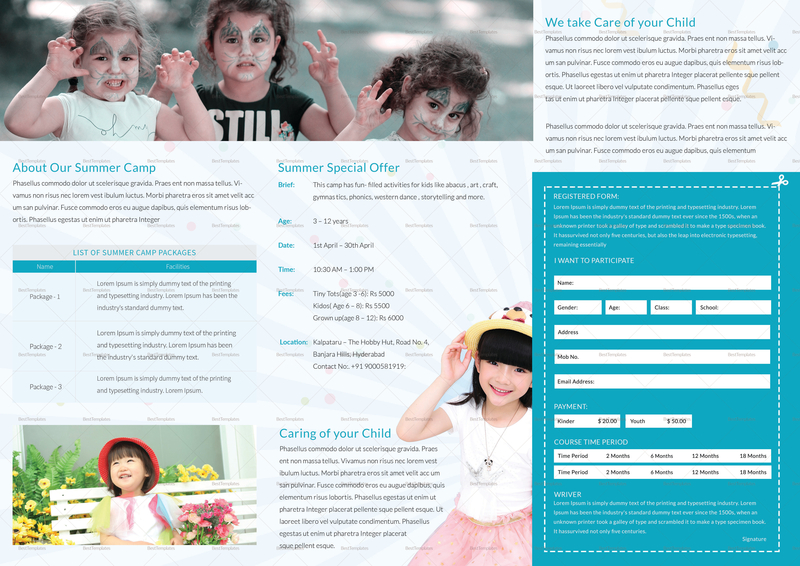 The brochure features your services, offers, packages and a registeration form for your convenience. 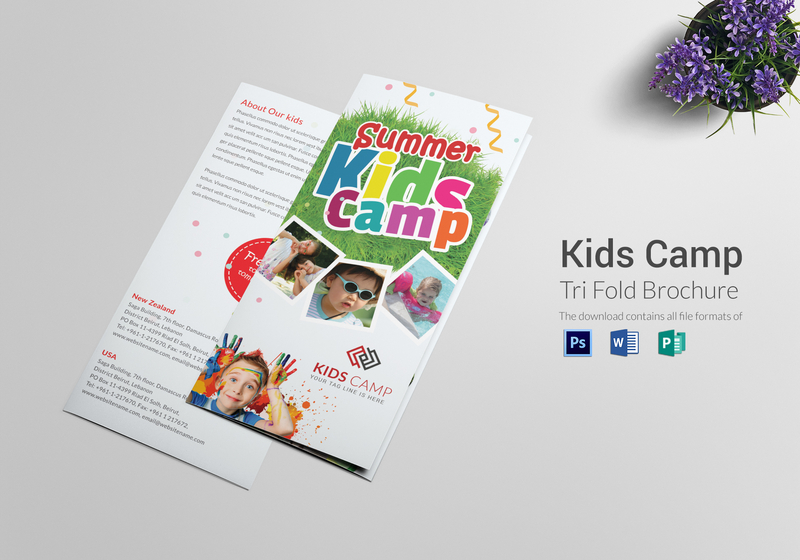 Easily customizable in MS Word and Photoshop. Download this printable, entertaining and colourful bochure with ease.